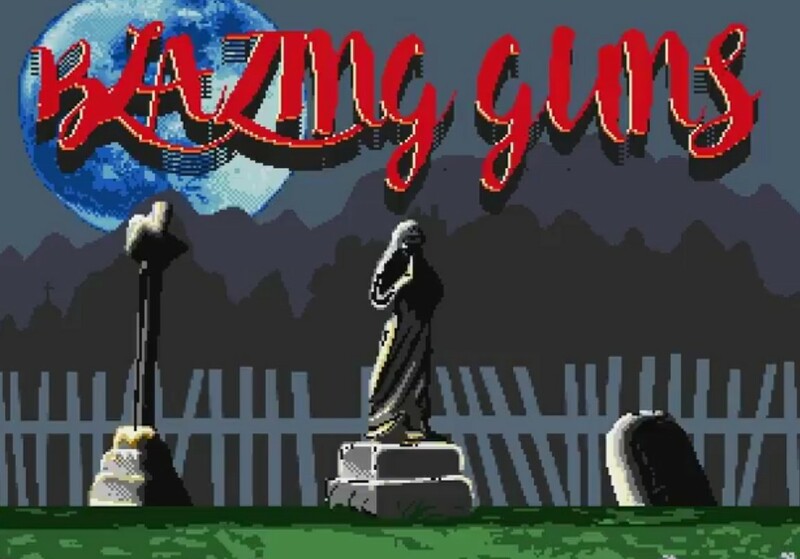 In 2016 we announced Aszu and team action platformer 'Blazing Guns' demo which was coded in assembler that ended up as a 9th place entry at the Retro Komp Gamedev Compo 2016. It star'd a gun slinging gangster that had the ability to run, jump and shoot at enemies such as bats in a game that featured 50fps, pure assembly code and dynamic action on 320x267 screens. Well as of today the game has a further update as now not only does it have a title screen, but a new team mode! But wait there's more, as other improvements have been made such as a fixed loading screen colour, module changes, fixed level numbers and a level end condition requiring you to kill as many bats as required to finish the level. Currently that's the only developments that have been made as the game is still a work in progress, but for now keep checking the source link for an updated demo ( it's down currently ).